I am not so sure I like what I see today. have seen me with my hair pulled back. and introduced myself just to make them smile. as if I’ve heard every word they said? reads my latest journal entry. on a seemingly healthy body? face the cruel reality that has a surprising hint of beauty behind it. This has made me different. that it didn’t hear before. Very thought provoking and heartfelt. 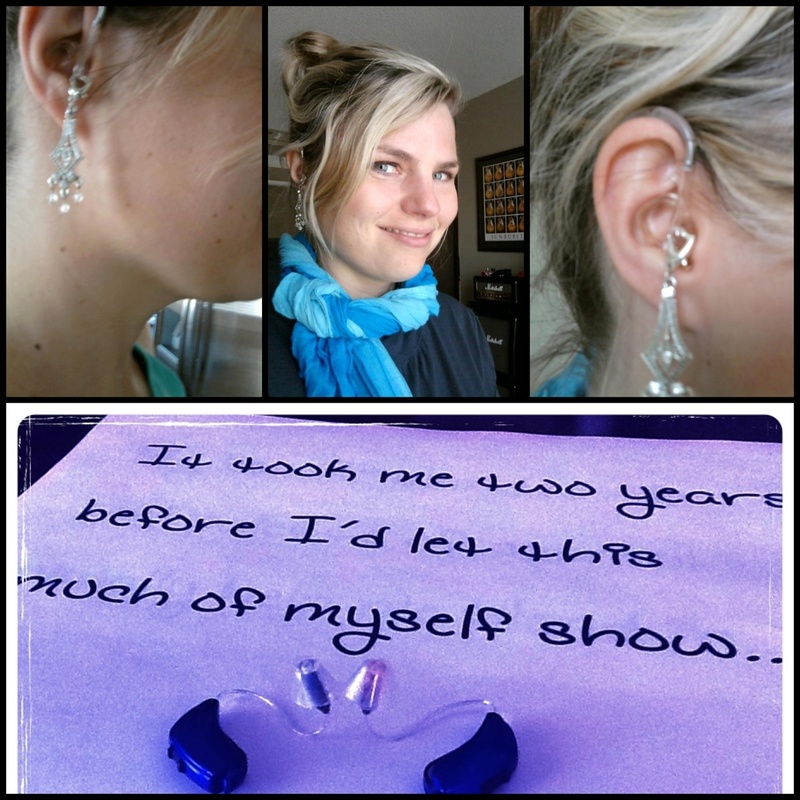 Shanna, dear one… I hope your hours and days of hoping to help everyone with a hear aide feel confident. As I read your message this morning, this part SHOUTED at me (at least I imagine that it does) That shows YOUR true wisdom. Do you know, as a NON-hearing aide person, when I see someone with one or two aides, I notice, BRIEFLY, then silently thank God for providing such help for those who need it. Me, I need lots of other things…like HOW TO GET YOUNGER!!! =) YOU ARE WONDERFUL. I was surprised when I went to respond on your website and saw your picture of OTHERS with hearing aides. I had no idea that caused so much frustration for those wearing them. Keep doing what you are doing, dear one. I just learned something new from you AGAIN!! LOVE AND Hugs…. G-Ma Sally D.
I am so glad, Shanna, that God has shown you how to be free ! Kim – Your comment made my day. Thank you! I have shared it on my Facebook Author page: http://www.facebook.com/AuthorShannaGroves. I normally deeply appreciate your blogging, and mostly do today, but I am going to pick a bone with you over one word. Just one. You are NOT broken. You are hard of hearing. Your ears are not broken. They are doing what they are programmed to do by your body. They are functioning in the way your body and your higher power intended. You are experiencing a journey that enriches you and others through your sharing of your experiences. If you had perfect hearing, you would not be writing or blogging about something this meaningful. You have been gifted, despite how you may feel. We make the D/deaf and Hard of Hearing feel “broken,” or “impaired” or in some way lesser than “normal people.” I refer to this as being the children of some sort of lesser god. The worst thing about being Hard of Hearing or deaf/Deaf is social isolation. We are socially isolated because we are ashamed of hearing loss because we’ve been taught it is a bad thing. Our kids and relatives may bully and ridicule us – because society sees us as lesser beings. We are socially isolated because we don’t tell others what we need, insist on what we need. God knows we’d fight for our kids to have what they need if they are brilliant or need glasses, or are in some way different than the mainstream. We don’t consider our children “broken” if they need glasses or they have a different style of learning, but to often we see ourselves as broken. In fact, most deaf/Deaf are master communicators. We observe everything around us. We are masters of non-verbal communication. Many of the oral high-functioning deaf are bilingual fully in both English and ASL – and sometimes SEE and pidgin ASL as well. How many people to we know who speak English, Italian, Spanish, and Portuguese? It is largely the same – these are all a variety of Romance Languages. Some, like you, do a lot of lip reading. The best lip readers are fortunate to get 30% of the spoken language because many sounds are made in the middle and back of the mouth. Add an unfamiliar accent and we’re dead in the water – it is like a hearing person trying to translate a thick Cockney accent when only knowing the flat Nebraska accent of America. The hearing person is not “broken,” they are experiencing something that they would have to learn to understand. I have worked with small groups of people in social work. They may be born to a family speaking Yu’pik and yet the child may end up speaking English in school and Yu’pik at home – then leave home and leave the language, never to return to that language except to speak to their parents or grandparents. I did this with my grandmother who spoke German. You don’t want to know what parts of German speech I remember ;). The Deaf Community is the only language and community we enter and never leave again. There is no such thing as learning to hear again. Even with a cochlear implant or hearing aids or even through dangerous implants into the hearing centers in the brain stem, we will never be “hearing.” We will be Hard of Hearing at best. We still are not “broken.” We are different, but we are just as vital and capable as any hearing person. We may end up speaking ASL, SEE or pidgin ASL, but we are not broken. It is as if we speak another language now – we’ve moved from the “mother tongue” of English to the new language out in the world. You are a leader, not a broken person. You are beautiful with or without your hearing aids. You have value because of who you are – with lower than normal hearing. You are a teacher, a role model, an inspiration, a joy. You are complete and whole exactly as you are. Marsha – The word ‘broken’ has many connotations. I use this word to describe how my heart felt when I discovered there was something I couldn’t control: my hearing. But the good part is that once I accepted that I don’t control my hearing, I developed a deep sense of gratitude for what I can control: the ability to adapt. Everyone I try to use that phone and its always trying to explain to callers that don’t know me well, that my hesitations are because I’m waiting for captions. That must be a challenge, but one that with time, hopefully regular callers will be more understanding. Hearing loss cuts both ways. For me, deafness has always held beauty, as I witnessed one of the most beautiful women I’ve ever known live a life of purpose with never a complaint of those things she lacked, among them, hearing. I saw beauty in everything my grandmother did, and to think that I could be like her in any way was a positive. Even sharing her deafness, I felt special, we were connected in a way that no other members of our family were. My hearing loss taught me so much. 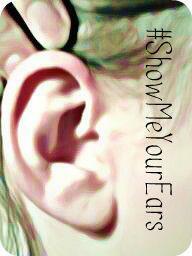 It made me who I am, and though I’d love to hear again, I am ever thankful for what I know because of my deafness. That’s the beauty. The broken comes when you’re down in that dark place, feeling vulnerable, sad, angry, and riddled with grief over a loss that has wrecked your way of living and getting along in the world. It takes time to acclimate and to learn to live with confidence again. Broken also comes when your third-grade son brings home an audio cassette tape his teacher recorded for you for Mother’s Day–Mrs. Kelly had each student read “Love You Forever” to their mother on tape. My family gathered around as my son gave me his gift, the tape was placed in the casette player, and I waited for it to start. I sat looking confused when no sound came, looking from one face to another as my family looked on in anticipation of my reaction. I burst into tears when I realized that the tape was playing, but I couldn’t hear it. My family surrounded me in that broken moment and I saw beauty in their love and comfort, but the sting of being broken remained for a time. Broken is when you’re watching an interesting story on TV about the shortage of buglers to play Taps at WWII Veteran’s funerals, complete with a demonstration of a newly developed digital bugle that requires no musical ability to play–it looks and sounds like the real thing and no one is the wiser. As the demonstration begins, I strain to hear the Taps of my memory. When there is no sound, I turn up the volume and wonder what’s wrong with the TV, trying to adjust the controls so that I can hear. Then it dawns on me, it’s not the TV that’s broken, but me, so I ask my husband to come and listen and he confirms that the sound is there. Another broken moment that hits me in the chest like a freight train. I retreat to my room to cry it out, because this is just one more incident in the chain of events that drives me to rock bottom of a progressive hearing loss that began in childhood. Once there, I’m alone in the dark and nothing seems to work anymore. Michele – What a beautiful woman your grandma must have been—and someone that you always carry in your heart. Very heartfelt post. At first I thought you were writing about being uncomfortable about your beauty–which I could relate to with a vengeance. I never thought of anyone with hearing aids as standing out. I agree with the other comments; just because you hear less (differently) doesn’t make you less interesting, beautiful, capable. Laura – Thank you so much. That was a beautiful post, Shanna! The broken and beautiful idea definitely resonates with me. Nick Vujicic talks about the fact that the brokenness in our lives becomes miracles for other people so their lives can be saved from the wasting of their lives (He doesn’t say it in that many words, but I get that idea from him). You’re a miracle for someone else’s life, even through your difficulties. In this, beauty requires brokenness as a prerequisite, through which other lives are changed. Munish – Thank you! I like what you write about how brokenness spurs change which spurs beauty. You said it well. The baseball moms I had relationships with never caught on even though my hair was pulled up at those hot games. Bleachers are the hardest to keep conversations going because you most likely have people behind you talking. Sit on the bleachers and your back is towards the people talking. That’s a good point, Terri. Thank you for commenting. Great post. Captures so many emotions I’m struggling with now. Us pretty moms are not pictured in materials from the hearing aid companies! For me there is another layer which is that my school age kid is developing hearing loss too and is now aided, so this is a big motivator for me to get a grip on my own issues with being HOH. Kate – I am so glad this poem brought you greater insight. We are not alone as lipreading moms!